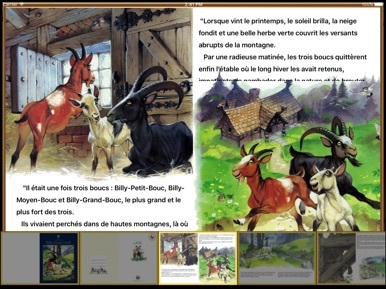 One fine spring day, three billy goats are let out of their barn to eat fresh grass. They have to cross an old bridge under which lives an ugly wicked troll and prevents anyone from crossing it. Will the goats manage to cross the bridge? What will eventually happen to the troll? Favourite Tales is a splendid collection of traditional folk tales from different cultures. This richly illustrated series transports readers into a fantastic world of kings and queens, giants, as well as sorcerers and fairies. 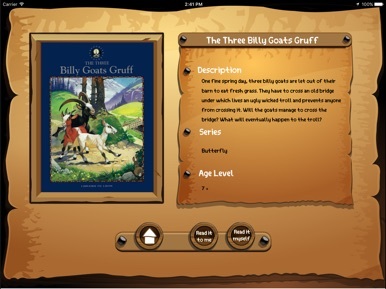 Reading these tales written in a clear language while listening to their audio will be an enjoyable experience for all. Order the best tacos in Houston right from your phone or tablet. Chose your location, place you r order and come pick it up. Full menu is available. Order ahead, pay online and skip the wait. Wir sind ein us Car und Oldtimer Club. Wir fahren zusammen auf treffen und Schrauben zusammen. In dieser App könnt ihr Kontakt zu uns herstellen, Termine einsehen oder euch einfach mit Technik tips informieren.